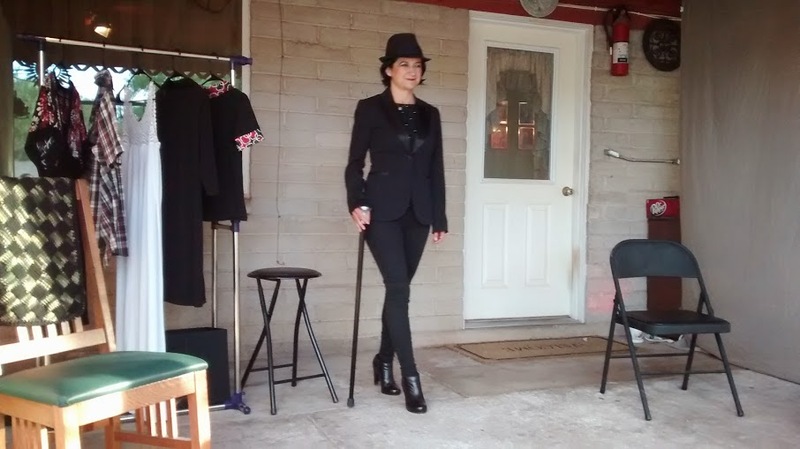 She performed it during sunset which was amazing. The way the sun bounced off of her and added shadows and light on her face was simply magical. She may not have appreciated the hot sun bearing down on her but it sure made for some great visual effects. It was great how it was starting to set at the beginning and had finally set by the end of the show. Like I said, magical. Everyone who was there really loved it and it did touch them in one way or another. Giselle did mention that she thought it was great and that there was wonderful energy in the crowd and on the stage. I had placed crystals on the stage and did a ritual on the stage before the show started to create sacred space for Giselle to perform, and listening to her, I would say I succeeded. I will definitely host the show again in the future and I will do a better job at promoting it. Thank you Giselle for taking the time to travel down here and share your art with us. 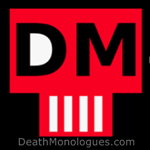 Check out DeathMonologues.com for more info and to schedule your own private show.